OrbsCorbs: "Police: Man Used Stick to Hit Child Because Their Shoes Came Untied"
"Police: Man Used Stick to Hit Child Because Their Shoes Came Untied"
"Racine police say a 31-year-old man is facing a felony child abuse charge because he beat a 5-year-old child with a stick when the child’s shoes kept coming untied. "Kevin Mayfield, of Racine, was charged Thursday in Racine County Circuit Court with one felony count of physical abuse of a child. If convicted, he faces up to 40 years in prison and/or up to $100,000 in fines. "According the criminal complaint, officers were called Wednesday to a local child care center for a report of possible child abuse. When police arrived, they spoke to a 5-year-old child who said Mayfield 'whooped' them with a stick because their shoes kept coming untied. "Officers say the child had visible welts measuring up to 5-inches long and some as an inch wide on their hands, arms, back, and buttocks. The abuse is suspected to have occurred on or about June 14 at the child’s home. 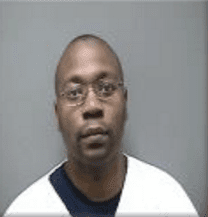 "Mayfield remains in the Racine County Jail on a $2,000 cash bond as well as a $3,000 signature bond and is ordered to not have any contact with the child or with any minor children. He was also ordered to surrender a sample of his DNA. Mayfield will next be in court June 23 for his preliminary hearing."